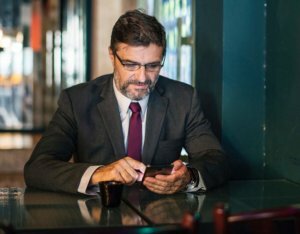 How Can Business Owners Stay In The Loop? Over the past 5 years, I’ve managed many client’s social media networks. The one thing that always comes up is, how do the business owners get to see what is going on when I’m the one managing their social media pages? The solution: social media apps for business owners to check in on their accounts periodically. Let’s face it, computers and the many social networks are complex when determining how to properly market using them. Welcome to the age of mobile computing where everything is thumb friendly and at your fingertips. Mobile apps simply make things easier to access a business’s social media page, make text, photo, or video posts, manage social media ads, plus track analytics of business marketing for social networks and websites. To download and install these apps below on your phone, you must first undertand that Apple based cellphone (IE: iPhones) apps must be through the App Store app on your iPhone. To download and install Android apps you must use the Play Store app on your Android phone. Each requires you to have either an Apple ID account (email) or a Gmail Play Store account (email) to download and install apps. We’ve made it even easier for you to download and install these apps by giving you direct links to the apps in each of the different app stores. Here are top recommended to install free social media management apps for easy social media business management. This Facebook app is the primary mobile app to manage your personal Facebook profile and newsfeed which consists of all the pages and groups you have liked and follow. It makes it easy for you to post text, photo and video updates to your friends, family and professional contacts that are your Facebook friends. Ok, before we move forward, the above Facebook app posts to your personal page, but you want to manage and post to your Facebook business page. As a business owner, you sometimes want to share professional information on your Facebook page and this makes it easy while on the go. Meet the Facebook Pages Management app that gives instant access to post directly to your business page from your mobile phone. TIP: You can also stream LIVE VIDEO to your business page with this app!!! In the last month, I’ve introduced this app to many business owners and employees. Since then, those business Facebook pages have been getting more interactivity from the team with content shared and comments followed up with regularly. I even received compliments for introducing this Facebook Pages Management app as, low and behold, it is not obvious that it exists to businesses until introduced, installed and shown basics of how to use it – thus the reason for this helpful post for my clients. This app allows you to manage 50 pages which is great for marketing agencies. You can also view and reply to private page messages and, last but not least, see page analytic insights of activity on the page. This Facebook page app is a game changer for decision-makers who want more access to their business activity on Facebook. As an Internet marketing agency that manages 50+ clients monthly on Facebook with not only posts but ads, we need at-a-glance dashboard solutions to keep us updated on the performance both on a computer and mobile devices. We always want our clients to know what is happening with the ads we have created and, more importantly, how they are performing with their budgets, target markets and conversion goals (clicks to site, Facebook page, exposure, messaging, etc). Meet the Facebook Ads app. This is the primary mobile app to manage your business’s Facebook Ads while on the go. Open the app on your phone and you are able to see, create and track your Facebook ads from your mobile device allowing you to pause, edit, review budget being spent, see metrics such as how many clicks are going to your website, Facebook page or demographics that are taking action. Create ads: Use photos and videos from your device’s library to reach people with ads on Facebook, Instagram, and Audience Network, or reuse existing ads with a convenient ad duplication feature. Edit campaigns: Edit your creative, text, targeting, schedules and budgets, or schedule and preview your draft campaigns on mobile. Stay in control: Manage account settings and track spending directly from your mobile device. Simple navigation: Easily switch between your Facebook Pages or ad accounts. This is the primary mobile app to communicate with both your personal and business page messages, which is where ads bring target market questions. Messenger uses location data to make features work, help people connect and more. But you can turn that off. Thank you for taking the time to consider these social media apps for business owners. It was written to inspire the social media marketing efficiency of your business’s online marketing efforts. If you have any questions about the mobile apps mentioned, contact us to support how you install and use them. If you’re looking for social media marketing for your business, simply call us at 519-387-9322 or send us a message through the contact form on our website. I read this article and found it very interesting, thought it might be something for you. 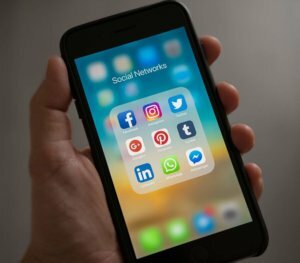 The article is called Mobile Social Media Apps for Business Owners on the Go and is located at https://www.gemwebb.com/mobile-social-media-apps-for-business-owners/.